Evacuations happen every year around the country for various reasons. From weather related emergencies to chemical spills to wild fire, you may be asked to evacuate your home with very little notice. Or you could decide to leave (or “bug out”) on your own if you feel things are going bad and you’d be safer somewhere else. Long before you evacuate it’s a good idea to decide where you’re going and determine the best possible routes to take to get there. And then take the time to drive those routes (or walk them, if your plan is to walk out of your area). Why travel the routes beforehand? So you know what you’re up against when you need to travel it in an emergency. 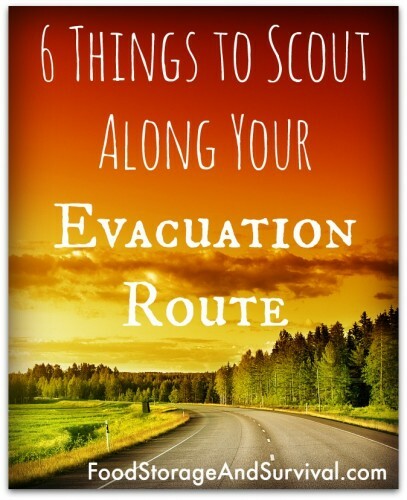 Here are six things to scout as you travel your evacuation route. 1. Dangerous areas. I’m talking people related danger here. Are there areas that will be prone to violence that might be avoided? If you need to travel through these areas, what precautions can you take to make it through safely? 2. Potential road hazards. Are there bridges that could be washed out? Roads that could get blocked by rock slides or large trees down or flooding? Power lines that could be down crossing the road? Look for alternate routes in the event your primary route could be blocked. 3. Water sources. Depending on how long your evacuation takes and what water you bring along with you, you could need to access water along your route. Are there natural water sources you could get water from? Remember to bring along a way to purify that water! If it’s a localized emergency, even grocery stores or convenience stores out of the immediate area could be sources for water. 4. Fuel sources. Ideally you started your evacuation with a half tank or more of gas, but you may need to fill up before reaching your final destination. To avoid gas stations all together, bring along some extra fuel when you leave. 5. Food sources. From grocery stores and fast food joints to edible plants, there’s bound to be something to eat along the way, especially if it is a localized emergency and you’re able to get out of the area. 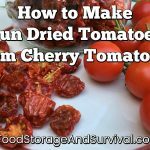 Packing food in your emergency kit can reduce your dependence on finding food sources along your route. 6. Shelter. What if you can’t get to your ideal destination right away? Where else could you stay safely along the way? In a large scale evacuation, hotels could fill up quickly. Evacuating through wilderness instead of through civilization? Look for areas that would make a good natural shelter for you in case you need to rough it or sleep in your vehicle. What about you? 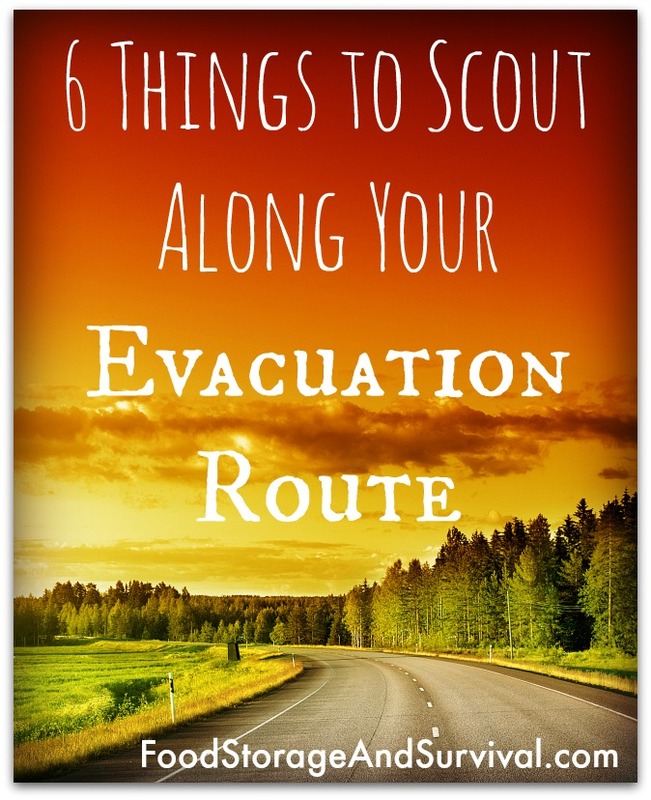 What else do you want to scout for along your evacuation route? Potential bottlenecks where roadblocks would be effective. Tight curves around which ambushes could be launched. Property where your friends will let you spend the night. Farmers with tractors and combines and other equipment who might sell you fuel. Sheriffs and State Troopers – you want to be known along your route by the good guys. Cache locations (National/State preserves/forests/etc. – record GPS location as well as landmarks/compass sightings to major landmarks. I would definitely be looking around along my evac route as I evacuated. Before evacuating, though, I’ll be scouting it in general to see if there are any water sources. If I’m in a vehicle, the vehicle could be the shelter and I have food in my bag or can hunt/fish. But water is heavy and wouldn’t be able to carry a bunch of water so would need to find water. It’ll be difficult to know whether you’d be able to actually take advantage of those items that you’ve scouted, though, depending on the type of emergency or disaster that you’re running from. But it’s always good to keep an eye out! You need to plot out any locations that’ll be likely FEMA relief centers or even Homeland detention locations – your bug out to that well prepared BOL might be cut short by travel restrictions and a forced detention ….